At a time of constant thunder for the ranks of EDM, Jidax have let their spotless arsenal of peak time crowd pleasers do all the talking. Coined as the “French Phenomenon” courtesy of their consistent releases and taken under the wing of superstar DJ turned mentor Steve Aoki, support from Tiesto, Afrojack and Thomas Gold alike has heralded that for all their youthful exuberance, the young Parisian duo has set a new precedent in the audacity modern electro can breath into the equation of modern dance music. Enzo Darren is one of the most up-and-coming EDM artists of his generation. His signature sound, based on catchy melodies and heavy beats, gives his music a unique imprint. Supported by the world’s biggest DJs and producers including Nicky Romero, Tiesto, W&W and Dada Life, he has signed several successful releases on Ferry Corsten’s label Flashover Recordings. He often hits Beatport Progressive House Top 100. In early 2013 he obtained the Swedish Platinum Award for collaborating as remixer on the track ‘Dance Our Tears Away’ by John De Sohn. Enzo Darren represents, without doubt, the new face of the french house music scene. 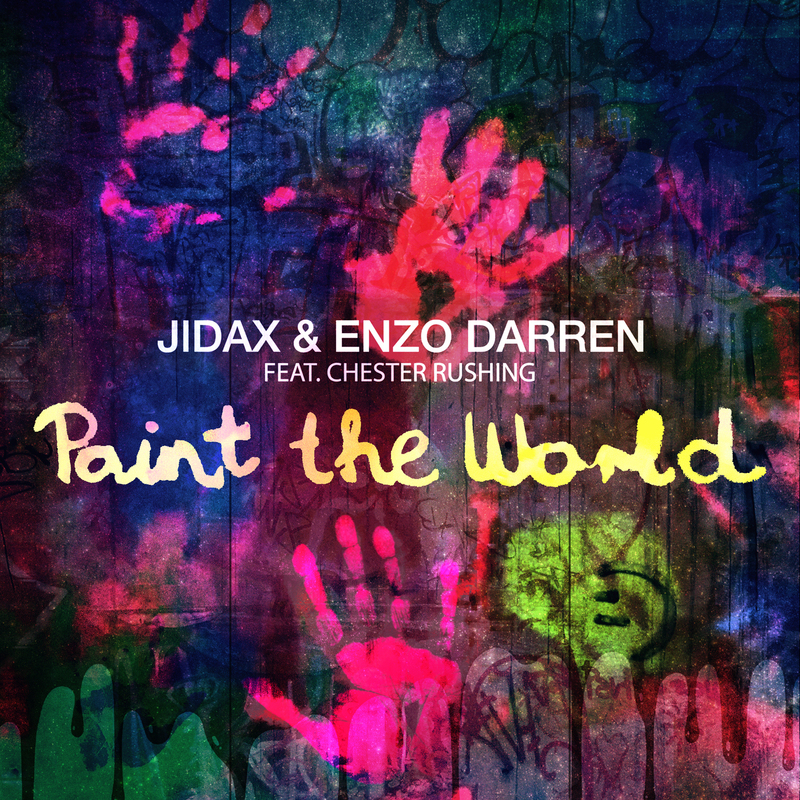 “Paint The World,” an inspirational club track with an uplifting vocal melody is the result of a collaboration between some familiar and up-and-coming names in EDM.”Paint The World” is available on iTunes, SoundCloud, and Beatport.